News > The New Fiat Fullback: 2018 Best Bakkie WINNER! William Simpson, Fiat Cape Town – Yes, the Fiat Fullback has made it once again into the Best Bakkie list for 2018 and WON! The updated Fiat Fullback model has been crowned Best Bakkie 2018 by Bakkie & Car Magazine. It silently slipped onto the rankings before the arrival was announced to the public! The Fullback may resemble a rival but has the advantage of the latest and innovative 133kW 430Nm 2.4 litre which the flagship Fullback now sports. 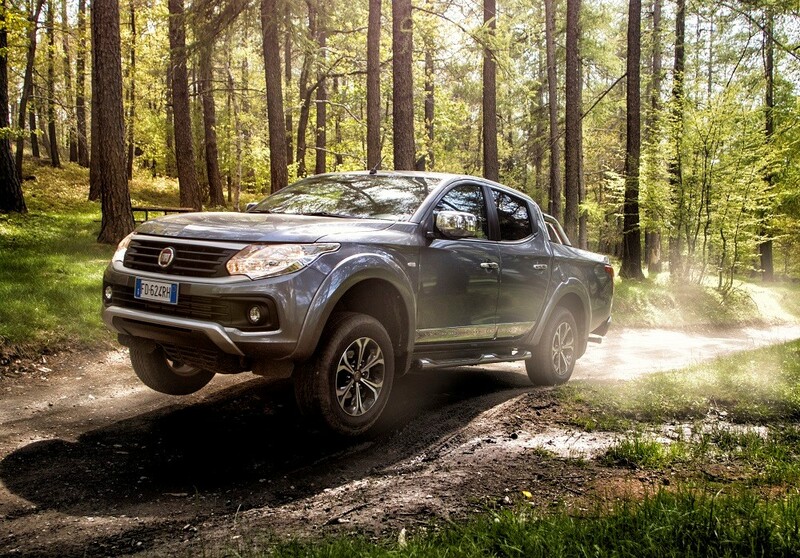 Currently only available in 4x4 automatic for now, the New Fiat Fullback is both more affordable and sports better features than its kissing cousins. What makes this Fullback an astonishing performer is the brand new next-generation aluminium block four-cylinder turbo-diesel engine with its combination of a fast-spooling turbocharger and low compression ratio of 15.5:1 for responsive torque at low engine speeds. Its all-aluminium cylinder block sports reinforced steel piston sleeves that weigh-in 30kg less than before. A combined common-rail direct injection system adds to the smaller engine’s throttle responses for a focused driving experience. The shortened wheelbase, revised stabiliser bars, stiffer front springs and stiffer rubber body mountings on toughened ladder frame chassis makes for better road holding, ride excellence and less body lean. Thanks to the more direct Hydraulic Power Steering the handling is better and the tightening of the cornering radius improves off-road use. Even off-road driving is easier with the Easy Select 4WD setup which, by turning the diff knob, sends maximum torque to each wheel via the 5-speed automatic gearbox. The Fiat Fullback is designed with sharp crease and curvature lines, aerodynamic elements and wraparound lamps the Fiat Fullback’s exterior turns heads!